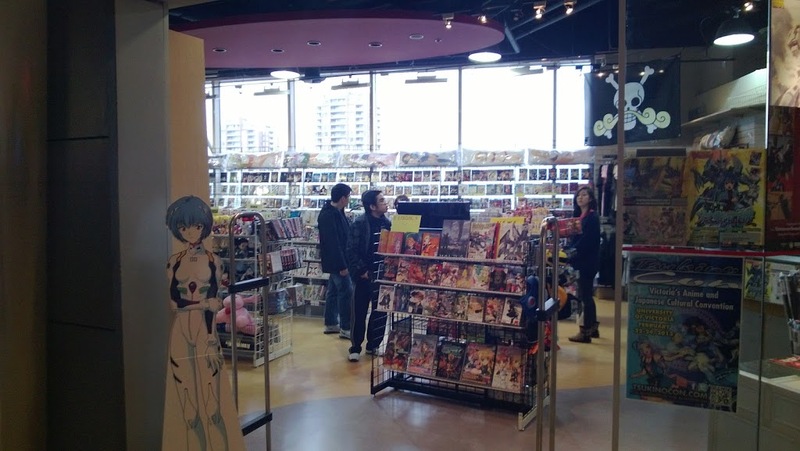 Sorry I haven’t been posting in a while, I was moving then starting a new job, then I had to go to Vancouver…been also playing Fire Emblem Awakening…XD While I was here i was checking out the mall here and I found a store that sells Gundam model kits!! 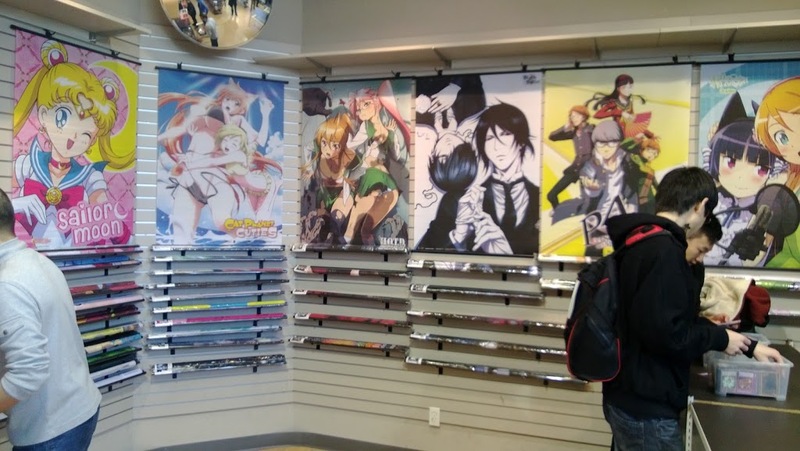 They sell other anime stuff as well! 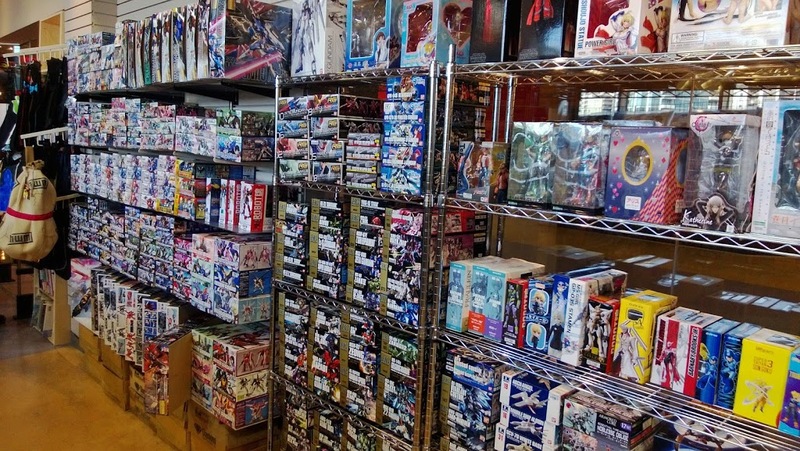 My coworkers then told me of two other stores close to this one that also sell gundams!! Well its 1 store that they split into two. 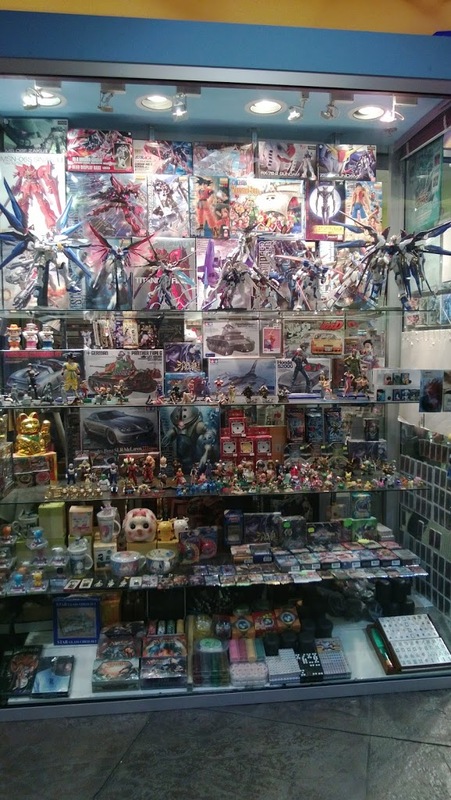 One JUST sold gundams but I was not allowed to take pictures of inside the store. 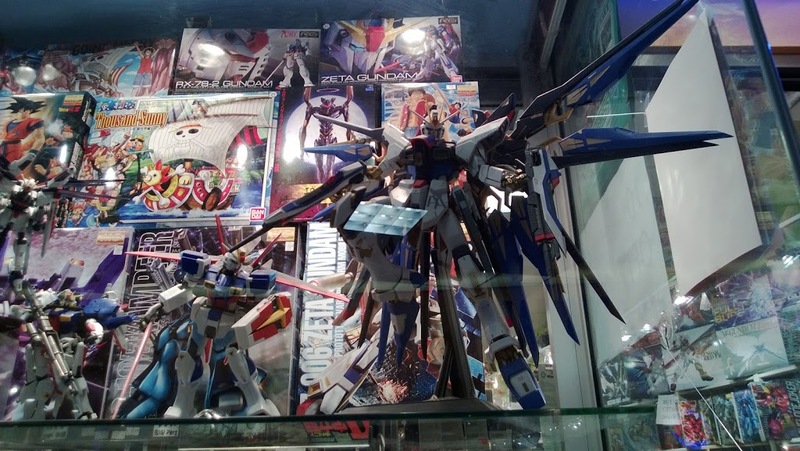 I did take pictures of outside the store which is the photos with the Perfect Grade Strike Freedom in the window. 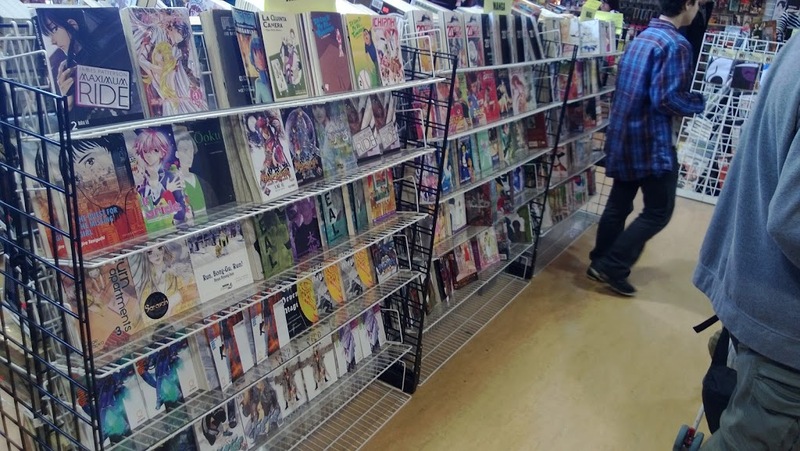 The first one is Sakura Media in the Metropolis mall. You can find it by going to old Navy and making a left at the entrance you will then definitely see part of it at the end of the hall. Really cool shop as they also have spots for people to play various card games in the back. Being Magic the Gathering, Yu Gi Oh, Vanguard or whatever your choice is. The second one is located on the second floor of the Crystal Mall. The mall is down Kingsway Ave I found it by leaving the mall by going through Sears. Anyways you come out of Metropolis at the Kingsway entrance/exit and then you start going left. You will stay on this side of the street. Its about 10 to 15 minutes down the street. Anyways its on the second floor and its called Toy Palace. The backside of this place is right next to the escalator so you can’t miss it! 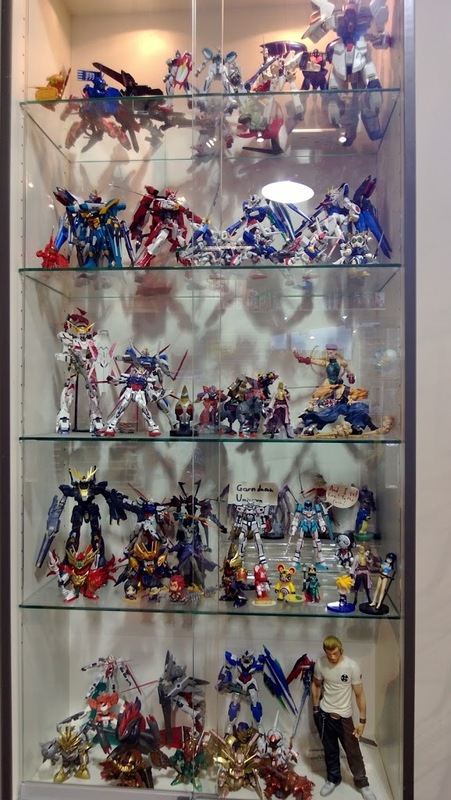 The small room with a lot of gundams has PG 00 Raiser for $295 CAD. Which would be around $335 with tax i believe. Anyways Toy Palace did have Master Grades, High Grades and SDs for around $7 to $65 with special editions being a little bit more. 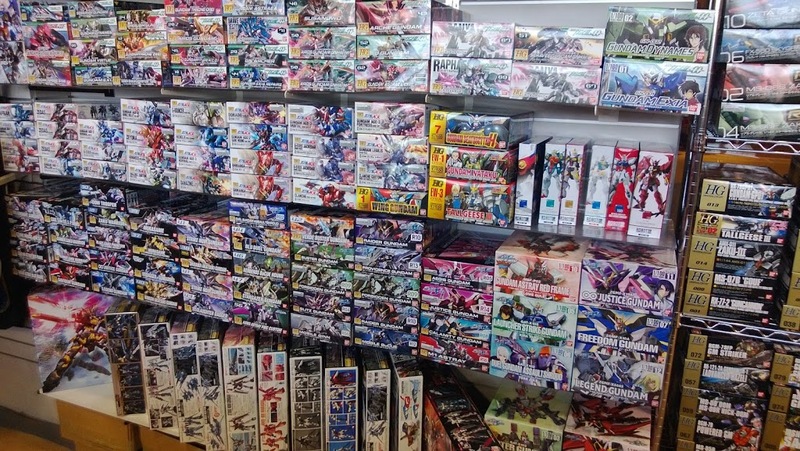 Both stores have a great selection of gundams for any gundam fan. They both have paints, models, gundam markers and stands but only Toy Palace have the tools for good prices as well. I noticed also at Toy Palace that the Real Grade’s are cheaper (by around $7 actually) than Sakura Media which theirs are all $40, and Toy Palace prices being at $32.99. Other prices seem to be give or take a few dollars here and there. TP’s Sword Impulse was $54.99 and Sakura’s didn’t have Sword Impulse but they did have Force Impulse for $60. Toy Palace seemed to have a good mix of mainstream kits, older kits and the rare and expensive kits. 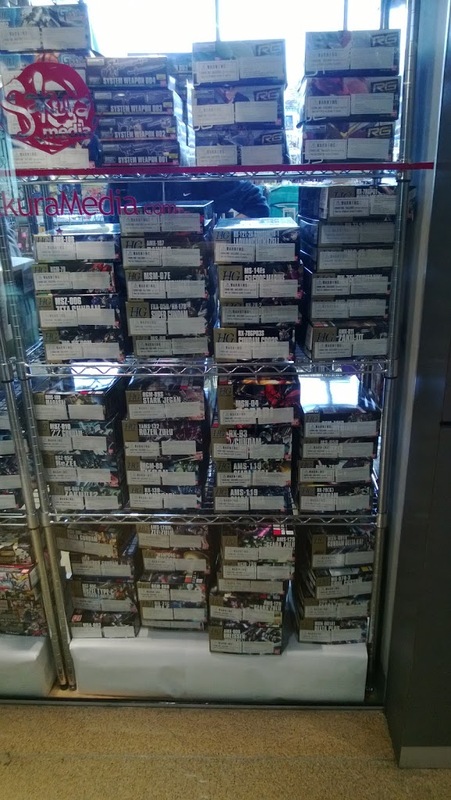 I can tell you one thing…They did have Titanium Banshee for $150 and Sakura had one for $175. 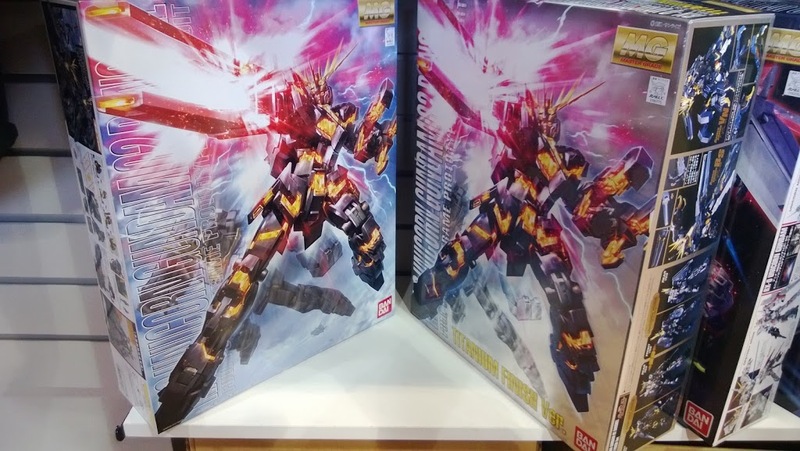 They are both great stores but if I had to really choose…I would have to go with Toy Palace with their deal on gundam kits…Buy One get one 20% off. 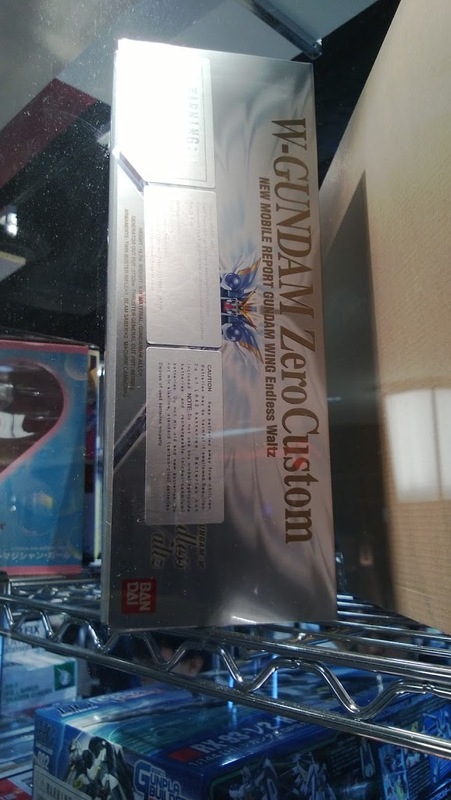 TP also has a really good select for Perfect Grades…Sakura only had Wing Gundam Zero Custom for $200. I am going to try to go back a few days after Sinanju Stein is released and see if I can get him. There are new photos of him and I will get those up here ASAP!! That is definitely not all…obviously I did not leave without getting something…It was getting late and I was tired and I did not want to carry some groceries i bought before (I gotta eat right? lol) and a few master grades back with me to the apartment my job rented for me. 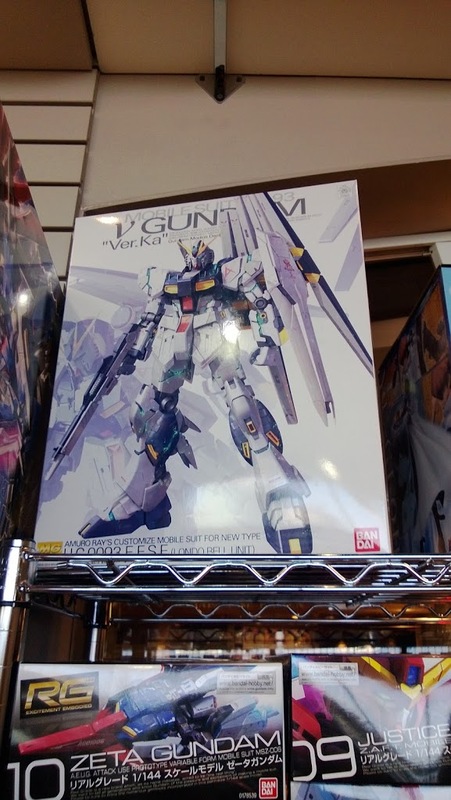 (I have to walk to and from the train station >.< ) So I got one HG that looked interesting and I just watched the interesting Gundam series…MSG Seed Destiny C.E. 73 Stargazer. It’s worth watching as Gundam fan, and Strike Noir is in it too so thats awesome. The review of the anime will come later when I have time to actually watch it and take notes. 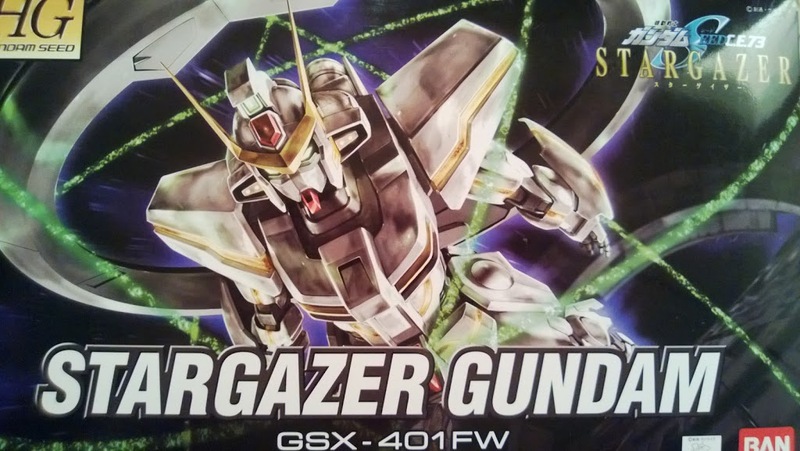 Anyways I found the HG Stargazer kit there and it was only $20 so I was like why not it looks like an interesting kit…Going to build it tomorrow! Look for either a text or video review soon after. I also had to buy some side cutters as I left mine back home. 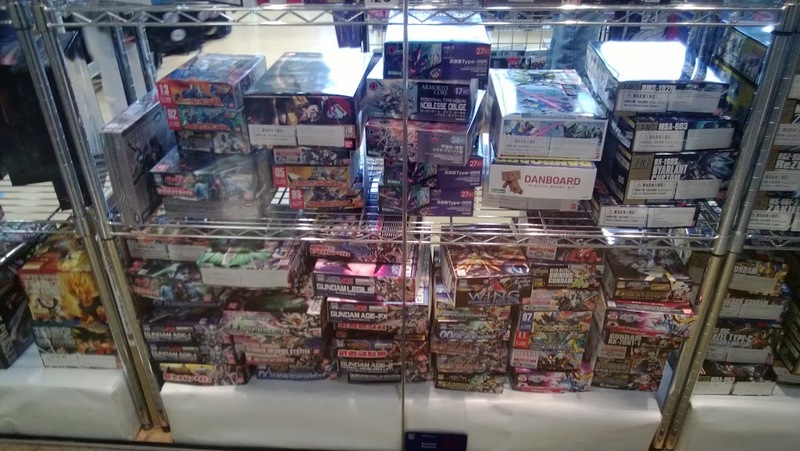 All the pictures below are from both stores…Toy Palace photos are labeled only since I could only take two pictures of the front of the store. The rest are from Sakura Media. If you are from the Vancouver area or just visited the area and have been to both stores let me know what you think of either and which is your favorite store? Next story New Gundam Breaker Trailer! God Eater PSVita Edition! Previous story Nu Gundam Ver. Ka has a release date!